When you're looking to translate English to French phrases, there are several ways to approach it. You can try directly translating the phrase, word for word, but that can lead to mistakes. You can memorize frequently used phrases, or you can use an online translator. Try each method to see what works for you. As you study French, you may have noticed that translating English to French phrases is never as simple as it first appears. When you try to translate them word for word, you can make mistakes. Some of these mistakes are merely funny, while others can be embarrassing! English differs from French in many ways. English, for example, developed as a sort of 'melting pot' language over many centuries and incorporates bits and pieces from various other languages. You can find French words directly in English, as well as words of Anglo-Saxon and Germanic origins. Not all of these words translate easily into French. English doesn't assign gender to nouns; this idea often strikes native English speakers as really odd. After all, a dog can be male or female, so why would the noun "chien" always be le chien taking the masculine gender? Just trying to substitute the word chien only for dog in a phrase is still understandable, but improper. English generally puts the adjective in front of the noun, where the French reverse it. For example, one might say "the black dog." In French, that phrase is "le chien noir". There are differences among various French dialects. Just as the southern portion of America substitutes "y'all" for "you all" or "all of you", Québécois or the language of Québec will differ in subtle ways, from the accent to certain translations, from French spoken in France, the Caribbean, African nations and the Middle East. Cultural and linguistic differences can transform phrases subtly or in major ways. These are only a few examples of what happens when you try to directly translate, word for word, a phrase from English to French. Although you can communicate in a very basic way, it's so much more elegant - and respectful to your French friends - to learn the proper way to translate phrases. These are so short, you can easily memorize the most basic phrases. 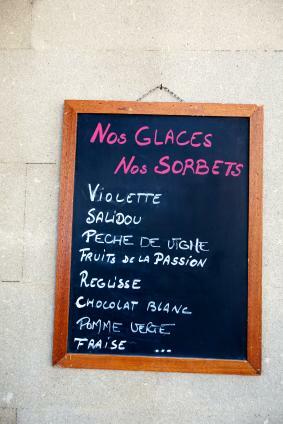 Useful French phrases for tourists and others. Helpful_French_Phrases such as "where is the bathroom" and other important things to know. Everyday Phrases in French with pictures for those who like to learn with images. Basic_Tourist_French_Phrases for navigating airports, museums and other points of interest. Free Translation Online offers French translation as well as dozens of other languages. Free Translation also offers translation via the Internet. BabelFish is a popular website translation service. French Linguistics is a UK-based site that offers translation advice. Whether you choose to memorize various phrases, learn the rules of grammar so you can translate them on your own, or rely upon a computerized translation service, bonne chance!